I would like to say that I was so impressed with your website and your service. My boxes were delivered today well before 4pm. The delivery driver was the nicest person and very friendly. Thank you so much. You have taken the stress out of getting moving supplies! We were relocating our office and was very impressed with how fast you delivered our moving supplies. Just wanted to say that we received our boxes this afternoon as promised. I would like to thank you for such an excellent service. I will be recommending you to all my friends that are moving. Your selection of moving items was excellent and will surely save me a great deal of time. Great one stop moving supply shop!!! Nice to know it’s a Canadian site so that I do not have to deal with Canada customs and duties. Thank you for your quick and efficient service! YOUR REPRESENTATIVE (MIKE) WAS EXTREMELY HELPFUL ON THE PHONE! IT WAS DELIGHTFUL TO DEAL WITH HIM! GREAT WEBSITE! I received my box shipment just as promised. I am delighted with the ease and convenience I experienced especially during this frantic time of moving and packing. Thanks again guys. My boxes were delivered on time and worked great! Thanks! I just wanted to say a big thank you. It is nice to use a company who deliver what they say. Fast delivery, received my package the next day. No complaints – I’m a return customer! Thanks for the prompt order-the boxes are terrific, everything was BETTER than promised. Boxshop makes shopping on the internet a pleasure. -you can use this comment for feedback if you like-you run an excellent business! Your selection is terrific! Every size box, including the specialty types! You have helped make our move that much easier. 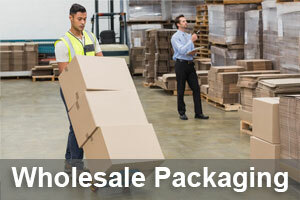 Delivery was fast and your prices are much better than what the moving company charges. Very impressed overall – easy to navigate site & order items, excellent delivery time, excellent product quality, very nice delivery person. Thank you for your follow-up to my shopping experience. I did purchase the product and the entire process from shopping ordering and receiving product was GREAT. Again…thank you…& have a GREAT DAY!